Red Bull Leipzig sporting director Ralf Rangnick has risked alienating Naby Keita even further with his latest, bizarre remarks. The 22-year-old is already unhappy at the club and has his heart set on a move to Liverpool, despite the Germans adamantly declaring he’s not for sale at any price. However, yesterday, Rangnick claimed that Keita was being badly advised by ‘a village in Guinea’, despite the fact he comes the capital city Conakry, an urban hub of over 1.6million people. He told a coaching convention, reported in the Echo: “There should be someone who points them into the right direction. Guinean journalist Amadou Makadji was outraged by the comments, especially considering Rangnick himself hails from German town Backnang – whose population is less than 40,000. “Shocked by the irresponsible words of Rangnick. If Guinea is a big village, what good is it to retain a villager in his team?” he tweeted. 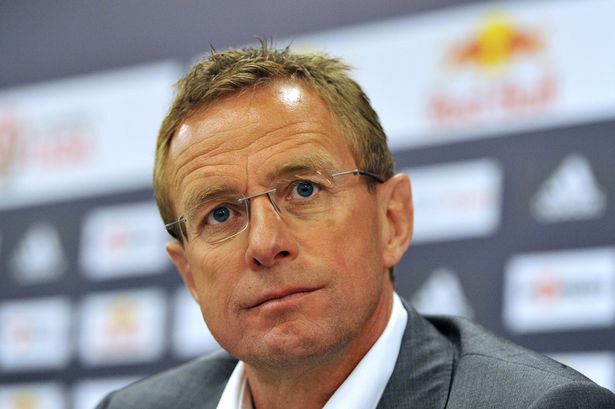 According to Guinean publication ConakrySports, Rangnick’s comments will be the nail in the coffin of Keita’s Leipzig career and he will demand an exit to Liverpool. Klopp and his squad are currently in Germany and are expected to meet his representatives Arena11 for further discussions regarding the transfer.